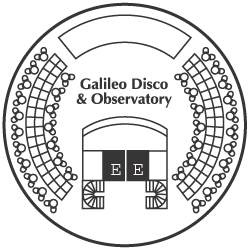 The Cortina Deck features the Observatory and the Galilleo Disco. The Capri Deck features the Caracalla Spa, Fitness Center, Beauty Salon, Trevi Piazza/Fountain Pool, whirlpools, Positano Bar, an additional pool and whirlpools, and the Squok Club. The Portofino Deck features Suite category staterooms, as well as the Youth Center, La Trattoria Buffet, and Alfresco Cafe. The Florence Deck features the upper level of the Colosseo Theater, Photo Gallery, Shops, Il dolce A'mores Patisserie, the Casino, and Puccinni Ballroom. The Rome Deck features the lower level of the Colosseo Theater, Conference Center, Chapel, the Card Room, the Library, Grand Bar, and the Tivoli Restaurant. The Genoa Deck features staterooms in categories EP, IP, IC, and CI. The Amalfi Deck features staterooms in categories EP, EC, IP, and IC. The Pisa Deck features staterooms in categories EP, EC, and IC, as well as the Tour Office and Information Office. The Venice Deck features staterooms in categories EC and IC. On CostaVictoria, Indicates Queen Bed or Convertible to Queen Bed. On Other Costa Ships, Indicates Queen Bed. On CostaAllegra, Indicates 2 Lower Beds Convertible to Queen. On Other Costa Ships, Indicates Single Murphy Bed. On CostaEuropa, Indicates Double Sofa Bed. On Other Costa Ships, Indicates 1 Lower Bed. On CostaClassica, Indicates Armchair Sleeper. On CostaAllegra, Indicates Single Murphy Bed. On CostaAllegra, Indicates 1 Upper Bed. On Costa Europa, Indicates Single Bed/Sofa Bed. If you choose to follow Costa Classica you will receive weekly email updates with the latest reviews, tips, and photos from Cruiseline.com members about Costa Classica.